Lovely to share these sauces handcrafted by us here in Portland, OR. 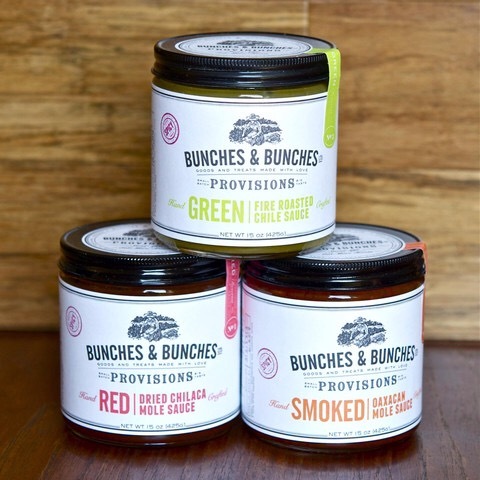 For another year, Dean & DeLuca has chosen Bunches and Bunches trio of moles and sauces for their Cinco De Mayo feature. We enjoy using these sauces ourselves and post recipe ideas here on our website so you can easily cook with them at home. Happy Cinco De Mayo, may you savor life with good food and people often!